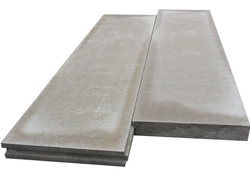 Metal Sheet Insulated Panels are highly sophisticated building products, produced with profiled Pre-Painted Zinc Coated/Galvalume Coated Steel and combined with Polyurethane as the insulation material. These products are available in Roof Panel System and Wall Panel System. With a wide range of different colors, cut-to-length and supplied ready-to-install, our modern building products will take a good share in a highly economic, weather-independent and fast, modular building process. A product with Core composed of Portland cement density modifier & other binders, we are dealing “V” PANEL as Cement Based Sandwich Panels designed for Internal and external partition applications. “V” Panels have a light weight core comprising of cement, fly ash, polystyrene beads aggregate sandwiched between non asbestos fiber cement facings. The panels have Tongue & Groove Profiled edges that share a common radius and provide panel to panel connections for construction purposes. 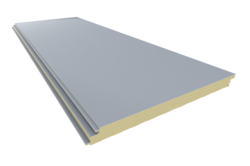 Looking for Insulated Panels ?